Storage units may not sound like an exciting proposition but, for investors lucky enough to get in on them, they offer steady cash flow, low risk and easy management. Investing in storage units doesn’t have the glamour appeal of an on-trend office building or a well-located retail property. 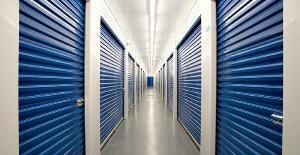 But in many countries storage units are considered an attractive commercial investment. In the US and Australia, storage units are a niche sector of their own. Not only do investors buy existing storage complexes and/or develop new ones, but they can invest in property syndicates which specialise in the sector. The sector is less well developed in New Zealand. But it is getting bigger and it is widely considered that growth will continue. In recent years, some large Australian storage businesses have moved into the New Zealand market. This suggests there is potential in the market. But it also begs the question of how interested Kiwi investors can best utilise opportunities in the storage sector. So in this month’s issue of NZ Property Investor magazine we talked to some experts and put together a rundown of what investors need to know about storage units. They may be an unassuming investment, but storage units are an appealing one for many reasons. These include steady cash flow, less capital outlay and maintenance upkeep and easier property management. Bayleys Rotorua commercial agent Mark Slade says they are attractive because they have multiple tenancies, generally on short term arrangements. To read more about storage units, along with our tips for investing in them, click here to get the digital issue of NZ Property Investor magazine.